I’ve been eating out of food trucks a lot lately, but by far, there is one kind of food truck I really love. Taco trucks. J and I were at the Kalamazoo Farmers’ Market this past Saturday just walking around. I really wanted to use the opportunity to pick up lunch. The market has a number of prepared food vendors now, but there’s one I’ve walked by several times and really wanted to try. Since J got something from Smoothie Operator, I didn’t have to worry about her finding something to eat, so I went and got in line for tacos. 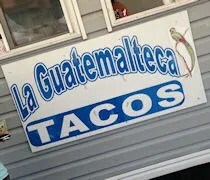 La Guatemalteca Tacos has been at the farmers’ market for quite some time. Their food truck is more of a trailer that needs to be pulled than what we have now come to know as food trucks. 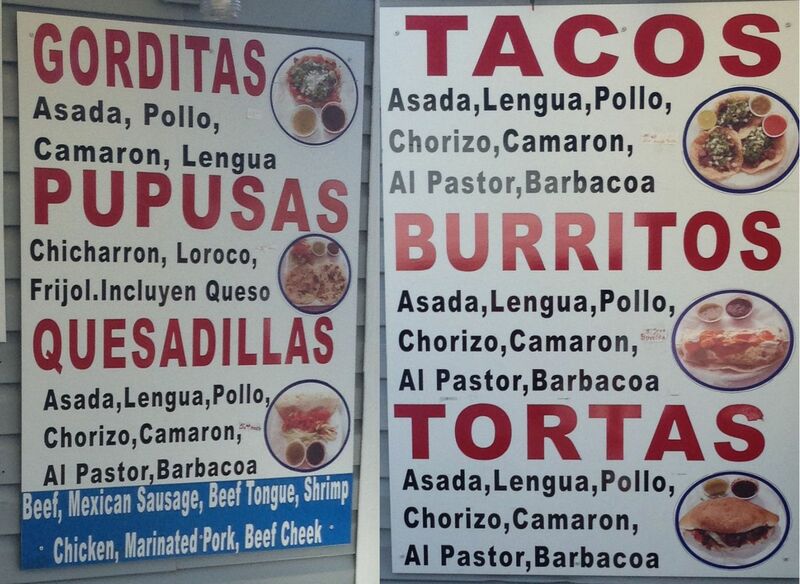 The simple menu of authentic Mexican food is posted on two large boards on either side of the order window. Since it’s not a food truck, the window is a little higher than usual, so there’s a wooden step to get you up to a height closer to the order taker. There was quite a line on this particular Saturday morning and there were only two ladies working inside. One was prepping food while the other was taking orders and putting plates together, so the line moved a little slowly. 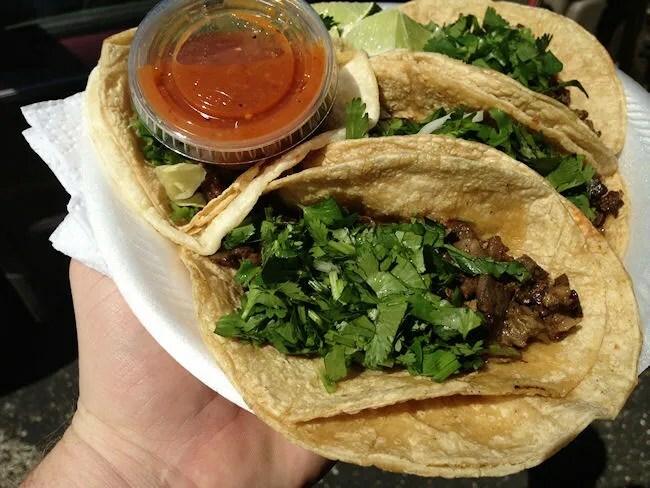 When it got to be my turn, I stepped up to the window and ordered four Asada (Steak) tacos with just cilantro. The tacos typical come topped with cilantro, onion, tomato, and lettuce, but all I wanted to taste was the juicy steak and the fresh herbs. The lady started to put onions on, but I stopped her before she got too far. I ended up with a few onions on one taco, but that was ok. A couple small chopped onions weren’t going to hurt me. Once all four tacos were put together on a paper plate, the order taker/cook handed the plate through the window and took my eight bucks. J was interested in something Gorilla Gourmet had on their menu, so she went over there and I headed back to the car. I didn’t really know how I was going to eat these delicious tacos without sitting down, so I made a makeshift table on the hood of our car while I was waiting for J. Once I bit in to taco #1, I was mad at myself for walking by this place so many times. The corn tortillas are double-layered and from the supermarket, but that’s ok. They were warmed up and flaky and filled with juicy, tender steak. I topped it off with a little bit of red hot sauce that was included on my plate which made the tacos a little spicy and a lot yummy. Like I am with most taco trucks, I’m a fan of La Guatemalteca. 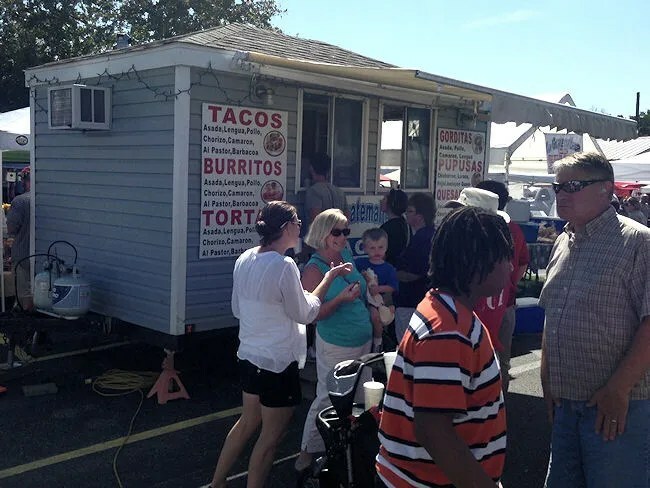 I’m not sure how much they move their truck, but I know the few times I’ve been to the market on a weekday, they’ve been there, so there’s always a good chance to find delicious, authentic Mexican food on Bank Street.